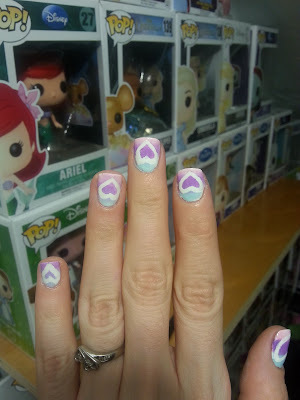 Fullmetal Cupcake: Born Pretty Store nail art product review : French Nail Paper! Born Pretty Store nail art product review : French Nail Paper! Hey lacquer lovers! 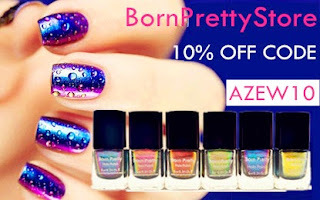 Coming at you with another Born Pretty Store nail art product review! 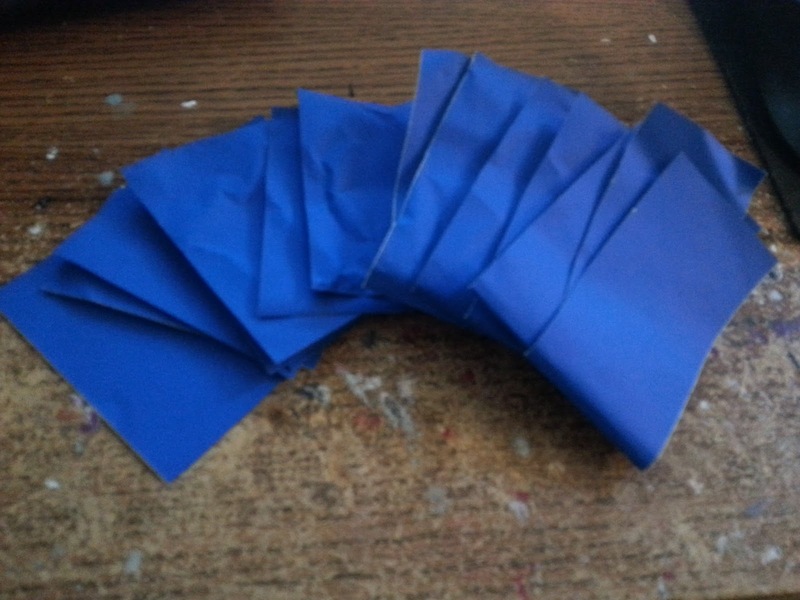 This time I am reviewing a sheet of blue French nail paper. Now I usually show the product how it came through the post, but this product came in one large sheet, which wasn't a problem, but a piece of it had gotten stuck on the package when I opened it and through My error I tore it, so I chose to cut it into nail art sized strips right away to prevent further tearing :) The product is the size of a regular 8 x 11.5 sheet of paper with an adhesive size, and one colored side with a matte texture. This product can be used like striping tape, but to create virtually any shape you could imagine! So for my nail art to review this product I wanted to go with some cute little heart shapes and a gradient :) Let's see how it turned out! 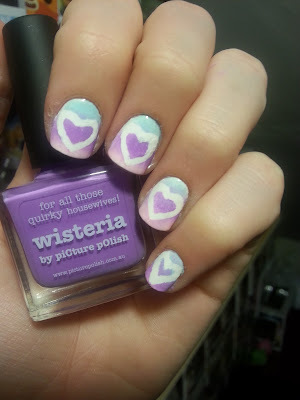 So to achieve this look I cute 10 little heart shapes out of the nail paper using cuticle scissors. I then painted my nails white, allowed to dry and applied the hearts cut from the paper with the adhesive side down paying attention to make sure they were firmly pressed down so there would be no polish bleeding. 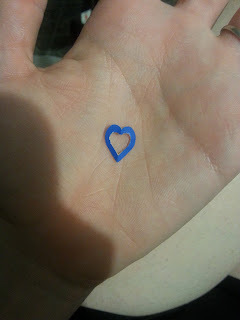 I then used a sponge and a blue/ purple/ gradient over top of the paper. I then removed the paper hearts and was left with adorable white heart images on a pretty soft gradient! This is a super cute and super simple nail art! So what do you think guys? Have you tried French nail paper, or similar nail vinyls? I personally really enjoyed this product although full disclosure on occasion some of the pieces would lift up and cause some minor bleeding here and there which I had to touch up. I think this may have been partially my fault for using drying drops however as they were slightly greasy. I would recommend this product however as it is super cheap at $0.99 a sheet (for another $1.67 you can add a scissor to cut out special shapes for you). If you are interested in checking out this product you can on Born Prettys website here. As always remember that you can use my coupon code AZEW10 for 10% off your order! That's all for now lacquer lovers! Thanks so much for stopping by and see you next time!